And this is GORGEOUS. 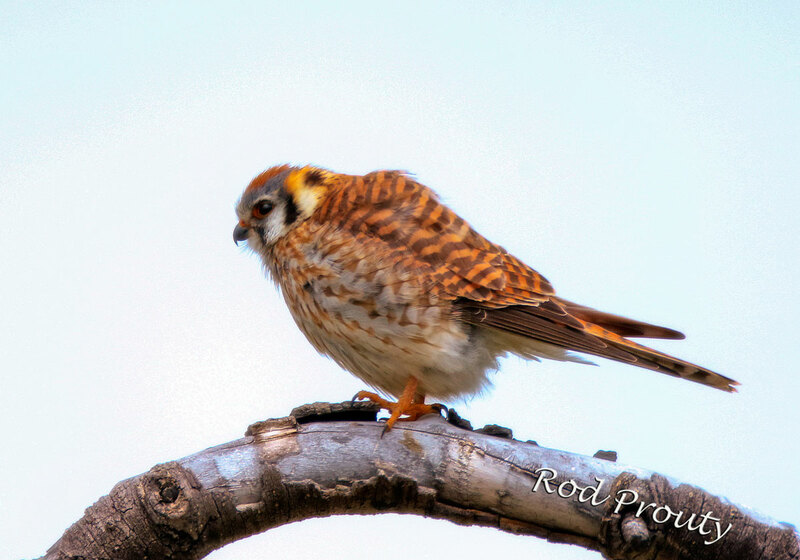 I have been trying SO long to get a great Kestrel shot -- I've managed a few good ones, but nothing approaching this. Thanks for sharing! Very nice shot Rod! Thanks for sharing..
Great shot, Rod! We had a Kestrel sitting on our tree fence just last week. Felt so sorry for it. It was snowing pretty hard. The Kestrel had to be freezing. We've had quite a few birds flitting around our house this month....some of the regulars that come back every year. But over the past two weeks, I've seen quite a few new birds. Not sure why but some may have altered their migration route a bit because of the brutal winter we had in MT...the worst on record. Got a shot yesterday with my little P & S of a female belted kingfisher. I'll post a pic of it later today. Hopefully, I'll remember how to do it. The pic isn't very good but considering that I've haven't been able to take any pix in almost 4 years because of my health problems, I'm jumping for joy right now just to be able to get out in the field again with a camera. Even if it has to be a point 'n' shoot. But I've got my big glass and tripod waiting in the wings on a cart. So,hopefully, it won't take me too long to get back in the saddle again. Hope you and Karen are having a good time in the Park and are seeing lots wildlife. Looking forward to seeing your report and pix.